I just go to Amazon and Citibank, so why am I seeing pop-ups for Adult Friend Finder? Home › Malware removal › I just go to Amazon and Citibank, so why am I seeing pop-ups for Adult Friend Finder? A typical lament: “I just go to Amazon and Citibank, so why am I seeing pop-ups for Adult Friend Finder?” Parents, we have an answer – your teenager. One of the benefits of testing so much of the Web is that we’ve developed a good sense of where the bad guys concentrate. And smiley sites are one of those dark alleys. For those of you who don’t know, smileys (aka emoticons) are graphic punctuation marks that people use to add emotion to their text communications, whether IM (Instant Messaging), SMS (mobile phone texting) or plain old e-mail. Now, who does the most IM’ing in your house? Yup, it’s your teen. What follows are five smiley sites that will leave you and your computer frowning. But first, a little background. ComScore Networks estimates that a whopping 69 million Americans use instant messenger software. AOL, Yahoo! and MSN are the most common providers. Unfortunately, many smiley packs, often accessible as a free download, contain unrelated programs that harm users’ computers. SiteAdvisor tests show that spammers and adware distributors often find new users by offering “free” smileys. Fortunately, there’s still reason to smile. Free smiley downloads are available without Web safety threats. More on those later. How do your kids get smileys in the first place? The major IM providers include a default set, but these get old fast. You can imagine the exchange: Jane IM’s John: “Cool smiley. Where did you get it?” John IM’s back. “Don’t remember. It was free on Google.” Jane searches Google for “free smiley.” The next thing you know, Jane’s installing a piece of adware with the pack of emoticons. Just how risky is that search? Of the 20 links on this result page, eight (40%) point to sites that SiteAdvisor rates yellow or red. If Jane picks a random site from this list, she faces a 40% risk of infection. Do two such searches and the risk increases to 64%. Three times, 78%. So for useres making a series of unsafe searches, it’s not unusual to find the family computer hosed. 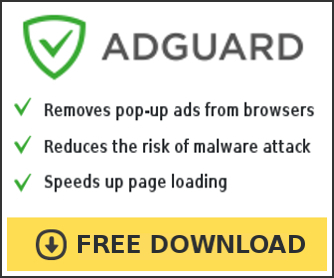 Read here How to uninstall adware and remove pop-up ads. How to block Microsoft Word vulnerability, recommended defenses.